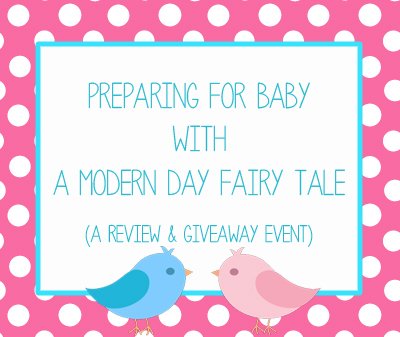 When it comes to preparing for baby, choosing skincare can be very difficult! There are so many products on the market and each of them claims to be the very best for babies' super sensitive skin. If we take a look at the ingredients, we see that that's simply not the case! Many skincare products on the market- even those designed for sensitive skin are loaded with fragrances, dyes, chemicals and allergens that can irritate sensitive skin. Oh my! Exederm has none of those! They are truly designed with even the most sensitive skin in mind avoiding ingredients such as fragrance, color or dyes, parabens, lanolin, formaldehyde and other known skin irritants. Their philosophy says it best: always use the mildest ingredients possible. And that's just what they do, making it one of the most gentle skincare lines on the market! We are lucky enough that my son does not deal with eczema as many children do, but he does have a tendency to have very dry skin (just like Mommy). While Exederm is great for kids who DO suffer from eczema or dermatitis, it is also wonderful for kids like my little man...all those added ingredients in other skincare lines can be rough on sensitive dry skin and many still do little to actually moisturize ..at least in our experience! I received the Hydrating Baby Lotion and was very excited to give the product a try for myself. Just before the product arrived, my son had actually ended up with impetigo from scratching some bug bites, spreading the infection throughout his body. His doctor had placed him on an antibiotic ointment which thankfully cleared up the infection, but also left some VERY dry patches of skin where it had been applied. Perfect timing! We applied the lotion, paying particular attention to those dry areas. It made a huge difference! Having just had an infection in the area, I was still concerned about new lotions irritating that skin, but we had absolutely no trouble. It moisturized his skin wonderfully without irritating those already sensitive areas! With many lotions we also find that they are very greasy, which I personally don't like at all! (especially for babies- no one wants a baby sliding right out of their hands, right!?) Again, not the case with Exederm...it went on very smoothly, not greasy in the least. I tried it out on my dry skin as well, and also noticed a big improvement, it's great for all ages. (They do offer an adult line as well too!) So not only is it free from harsh chemicals and irritants, but it also really WORKS!? I'll take it!! In addition to the lotion we received, Exederm also offers a full line including baby wash, moisturizer, lotion, baby oil and shampoo. While the lotion worked great on its own, I'm certain we'd see an even bigger improvement using the whole line. 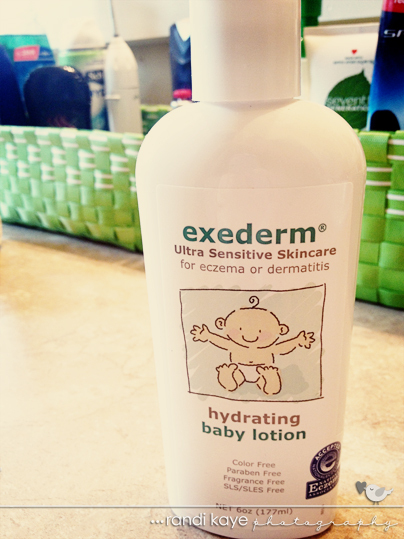 If you have a little one with eczema or dry skin and nothing else has seemed to work, I highly suggest giving Exederm a try! It's gentle and it really works! Disclosure: I received the products mentioned above in exchange for my honest review. All thoughts are 100% my own.